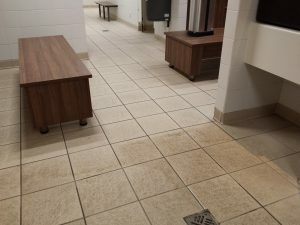 Everyone hates dirty changing room floors! 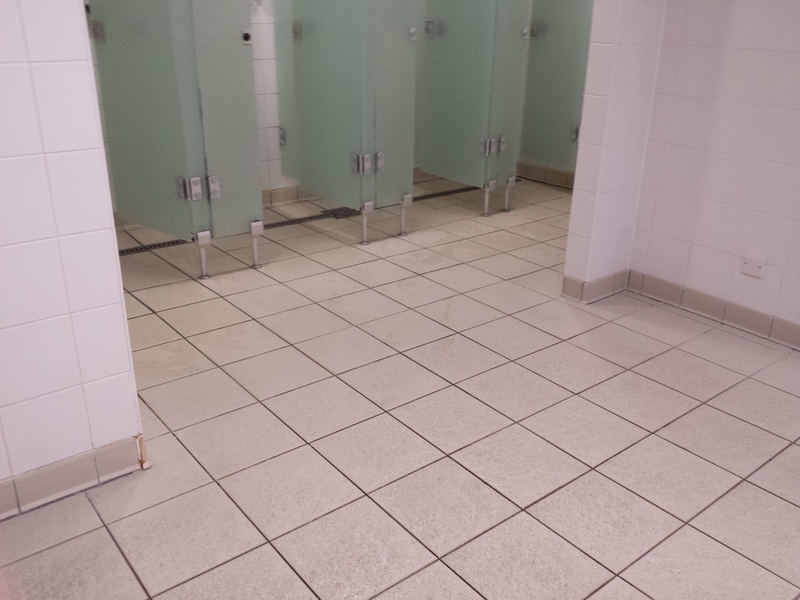 They make me cringe!!! 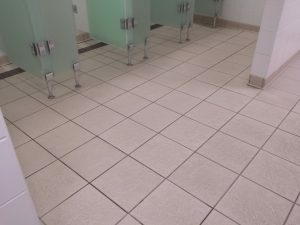 Therefore, it is really important that they are maintained well and kept clean so that customers have a pleasurable environment to change in and clean floor to walk on in their bare feet. 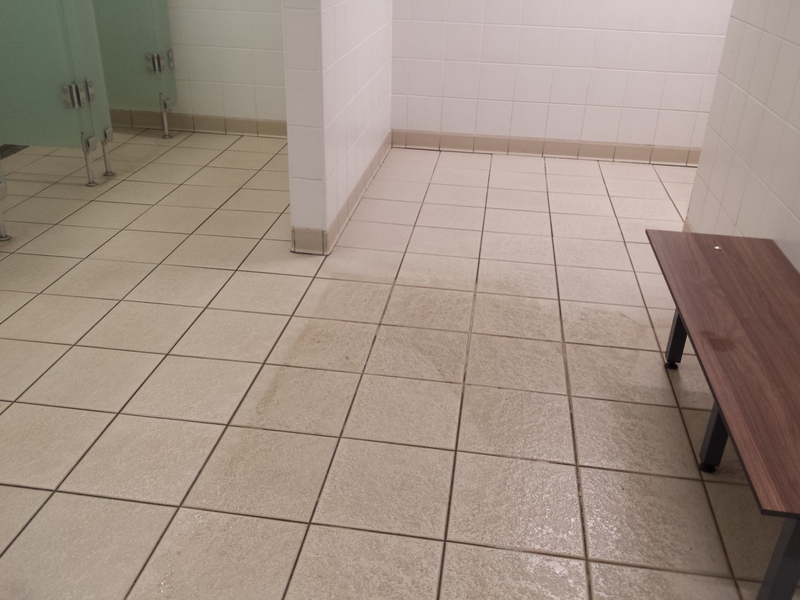 We recommended to this health club in Oxford that we deep clean their changing room floors every 3-6 months as they get a lot of traffic. The non-slip textured surface of the tiles also makes it difficult to clean the floor properly just with simple mopping. 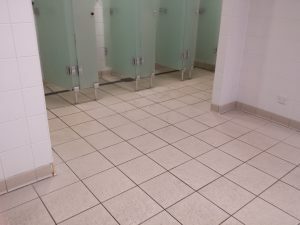 As you can see from the photos during the floor cleaning process, there is quite a contrast between the parts of the floor which have been cleaned and those which have not, and they cleaned up as good as new on completion. To get a quote for floor cleaning maintenance in Oxfordshire, give us a call on 0800 020 9199.